Summer has officially come to Dubai! 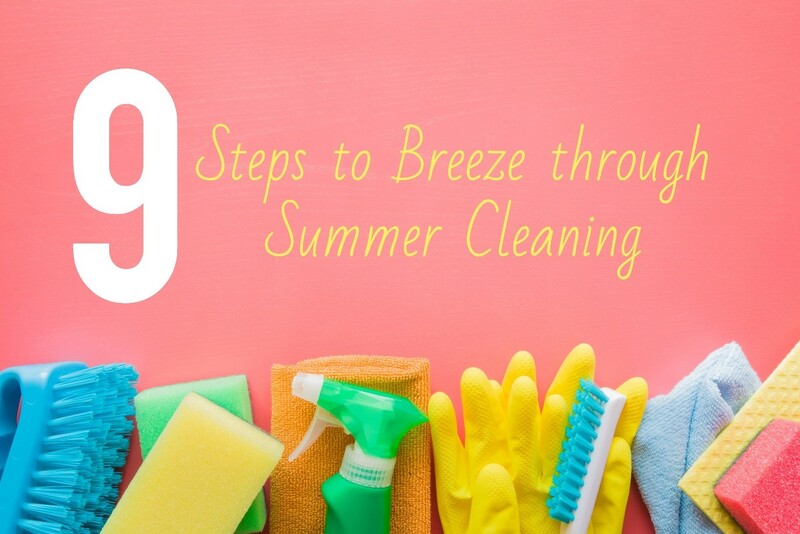 And that means it’s time to get started on your summer clean-up. If you want to get it done in no time, here’s a step-by-step guide that will help make it easier and actually enjoyable! In case you haven’t noticed yet, we’re avid fans of decluttering. One golden rule we go by is the 6-month-rule. If you don’t see yourself using something in the next 6 months, then you can choose to do any of three things: 1) store it, 2) donate or 3) throw it away. Regularly decluttering your home gives you more space for things you actually need and use. Time to vacuum your carpets and rugs, or give them a thorough washing! Summer is the best time to do this so your rugs and carpets dry quickly. While you’re at it, try and give your home a new look by rearranging your carpets and furniture. Your beach umbrellas, floaties and beach loungers! Out with your winter stuff, in with your summer must-haves! Time to take the trip to your self-storage and bring out your beach chairs and loungers, floaties for the kids, or even that inflatable swimming pool! Just make sure to clean them first and find an easily accessible space in your home to store them. Summers in Dubai can be extremely humid. This can cause your mirrors to collect more dust and dirt than usual, so it’s good to make time to clean them. The same applies to your windows! Intense summer humidity can also cause garbage cans to smell their worst. You can avoid this by adding an extra liner on the bottom of your bin to prevent spills and leakage. Make sure to take out the trash more often in the summer to prevent the smell of rotting food from invading your home. Did you know that your washing machine can also be affected by strong humidity in the summer? Yes, these machines tend to get dirty and smelly during the humid season. Avoid washing your clothes in a smelly washing machine. Clean it first by simply running an empty load with detergent and hot water. Once done, leave its door open to air dry. Summer means more time to hang out by the poolside! Spruce up your pool and outdoor furniture by giving them a quick clean. Make your own gentle cleaning agent: water + soap. Spray the furniture with water first, apply the solution, then gently clean it off with a soft brush. Food spoils faster in the summer. So give your pantry a quick inspection and look for food items that are about to expire. Either use them right away or throw them out so you don’t have to deal with rotten food. And wipe out crumbs and food bits from your pantry while you’re at it.